As I was typing the title to this post I realised I had published a similar recipe not so long ago. Both are pork dishes that are braised in a dairy based sauce and yet despite the essence of two dishes being similar they actually taste quite different. This is a really divine pasta sauce – comforting and moorish in the way that all creamy pastas are but with the benefit of using milk to create a rich sauce instead of cream. 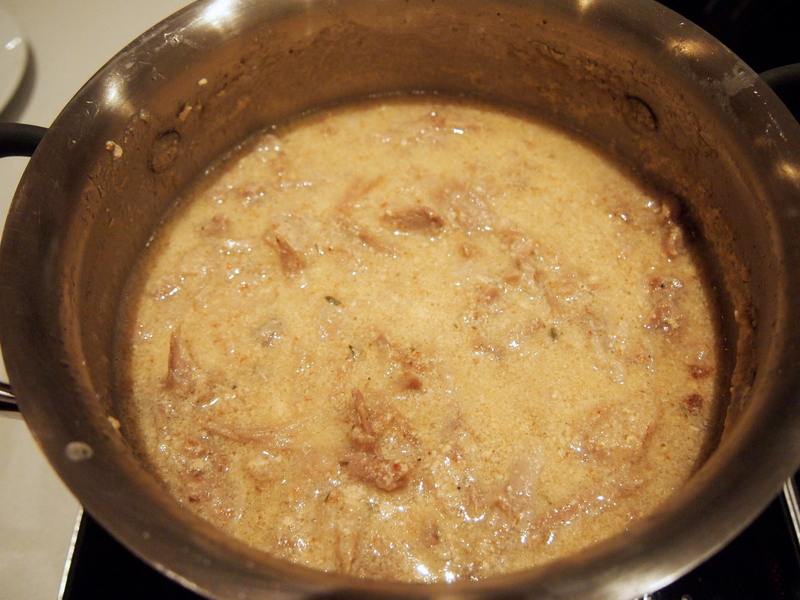 The milk, onions and garlic that have been used to braise the pork are cleverly blended at the end of the recipe to create a thick and creamy sauce that is packed with flavour. If, like me, you struggle to find pasta recipes that veer away from the usual tomato based ragus then this recipe needs to go into your “to make” file. If you have the time and inclination making your own fettuccine would be well worth it for this ragu but a good quality store bought fresh pasta is just fine. 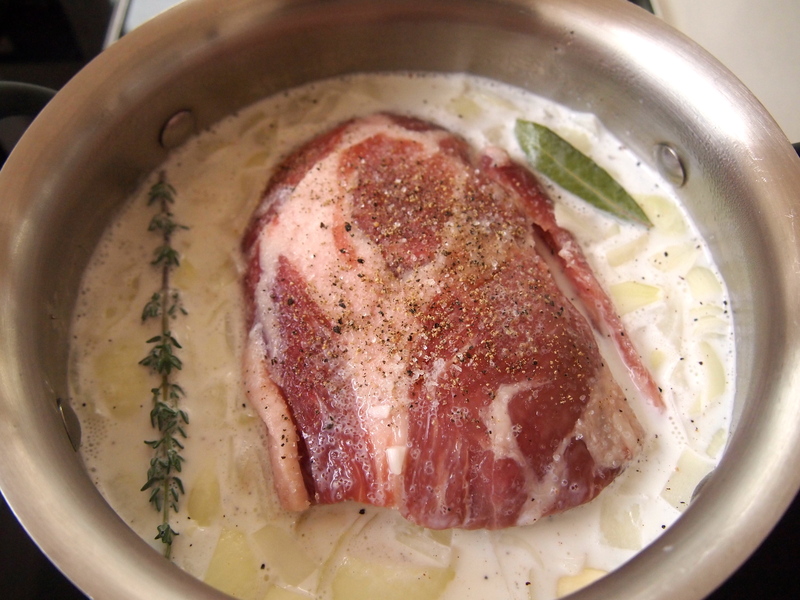 Remove the pork from the refrigerator and let it sit at room temperature for 30 minutes. Pat dry with paper towels and season with the measured salt and pepper; set aside. 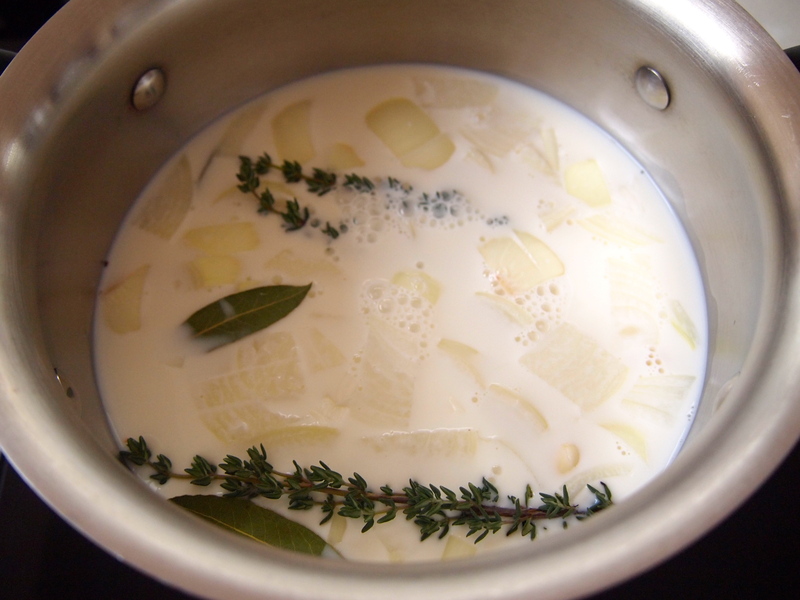 Place the milk, garlic, onion, thyme, and bay leaves in a large heavy-bottomed pot or Dutch oven and bring to a simmer over medium-high heat. 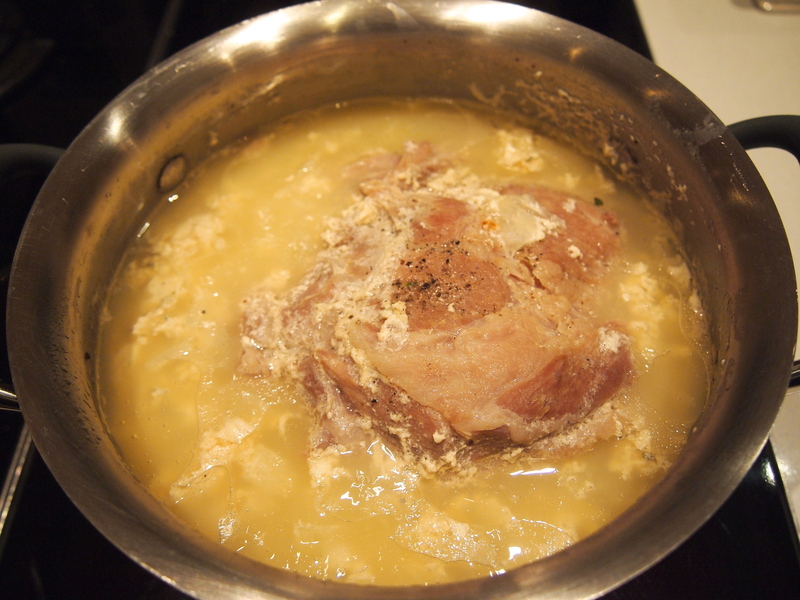 Reduce the heat to low, add the pork, cover with a tight fitting lid, and cook for 75 minutes. Turn the pork over and continue cooking for another 75 minutes. Uncover and cook until the pork is fork-tender and easily shreds, about 30 minutes more. Transfer the pork to a cutting board. Increase the heat to medium high and cook the braising liquid, stirring occasionally and scraping the bottom of the pot to release any browned bits that have accumulated, until the liquid has reduced by half, about 25 minutes. (The sauce will look lumpy and curdled.) Meanwhile, prepare the meat and pasta. 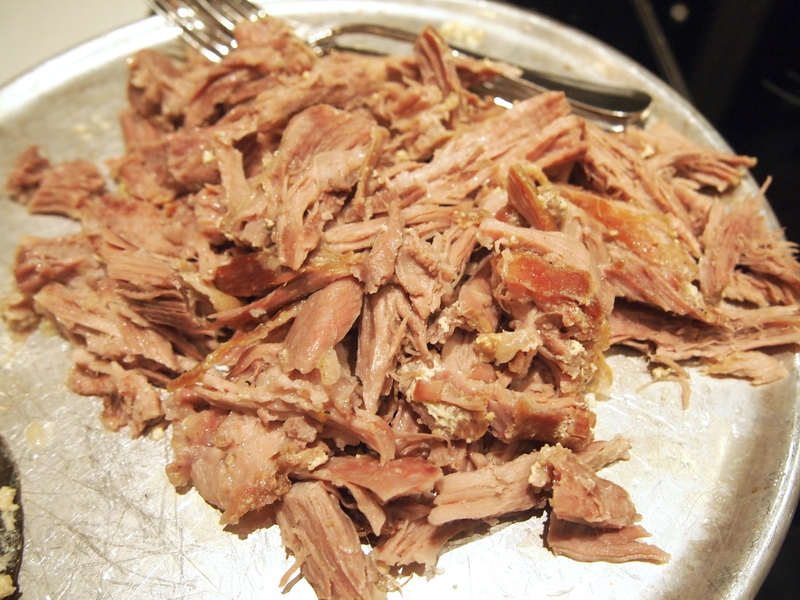 Using 2 forks, shred the pork into bite-sized pieces, discarding any large pieces of fat; set the meat aside. Bring a large pot of heavily salted water to a boil over high heat. Add the pasta and cook until al dente. Drain, reserving 1 cup of the cooking water, and set aside. 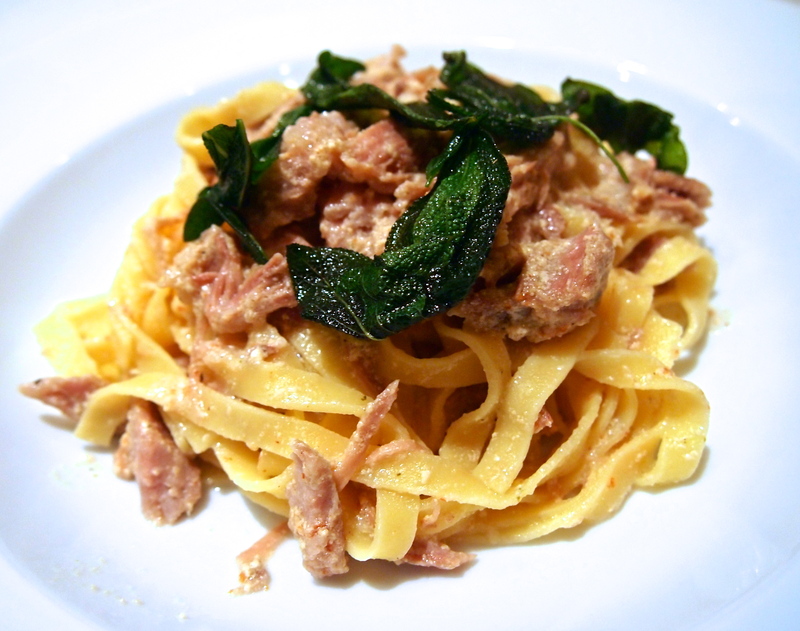 Remove and discard the thyme sprigs and bay leaf from the reduced braising liquid and transfer the liquid to a blender. 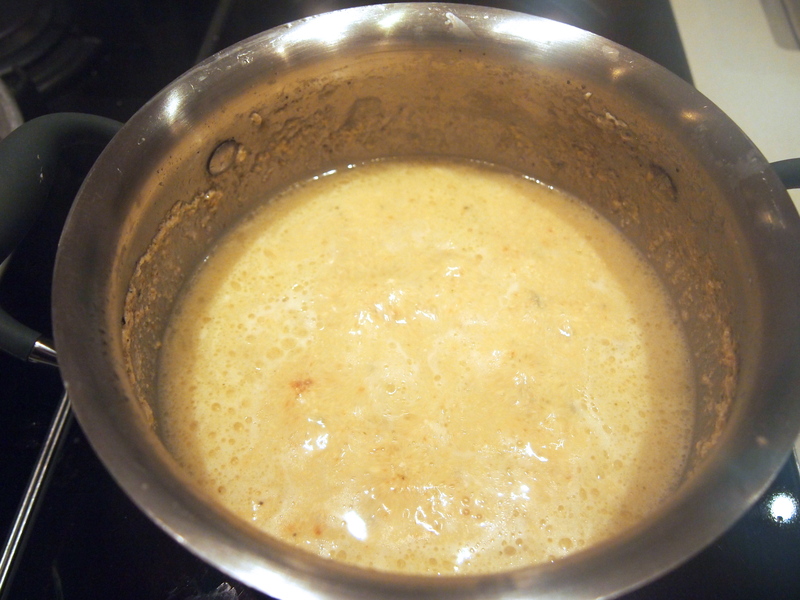 Blend on high speed until smooth or alternatively, use an immersion blender. Return the sauce to the pot, add the shredded pork and stir to evenly combine, adding the reserved pasta cooking water as needed. When the sauce has heated through, taste and season with salt and pepper. 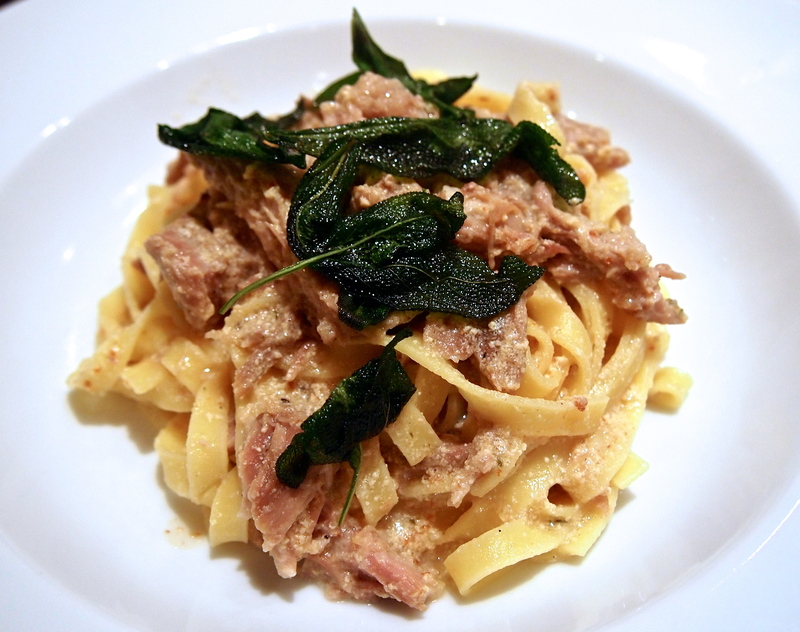 Stir the cooked pasta through the sauce and serve immediately, garnished with the fried crispy sage leaves.